Growing your garden centre’s revenue in the next 12 months, but where will your increased sales come from – a larger sales force, new markets, or product innovation? The likely source of new customers will be e-commerce. Make sure you have strategies in place or at least in mind when you plan your ecommerce for the next 12 months. 1. Micro-Target an Online Audience. E-commerce is basically about establishing a “territory”: defining and designing a site to reach an audience with a common interest or characteristic. Whatever your product or service, you should create and define niche markets so that you can penetrate online with specialised offerings. Site visitors are demanding one-of-a-kind experiences that cater to their needs and interests. New applications, channels and technologies are available, even to smaller businesses, to help capture individual shoppers’ interests and preferences and generate a product selection and shopping experience led by individualized tailored promotions. 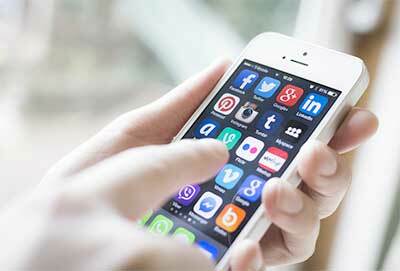 Through well targeted online promotion and offers, using social media, inbound and outbound marketing, useful apps and creating a unique on experience you will establish your brand where you want it to be and generate a loyal online community. some customers are also capable of incredible loyalty when they find a brand they like and are even capable of being brand advocates, keep those people very close. 4. Create Content to Build Stickiness. 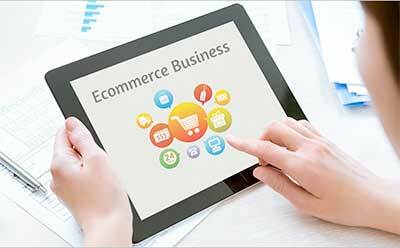 Winning e-commerce deploys crowd-sourced content to make a site “sticky” for potential buyers. Amazon attracted millions of consumers by encouraging them to share their opinions of items like books and CDs. Establish a strategy to help potential customers find you via Google. Buyers’ triggers , like the produce you sell are seasonal and revolve around events, use a purchase calander to plan your content. 5. Tailor the Browsing Experience to Target Segments. Brand-appropriate site design and well-structured navigation remain key ingredients for attracting an audience and getting them to come back. It should be a given that you provide an enticing browsing experience across all online platforms and use social and other media channels. Combine social media with multi-channel offerings and select the ones that are relevent to your customer base, enabling your consumers to experience your brand consistently, whatever their shopping method of choice. Mobile commerce is growing at a rate of over 130 percent annually. If you lack a robust mobile commerce platform, you will see a dramatic drop off in revenue over the next several years. To stay competitive, you need to offer mobile-accessible services such as delivery status, real-time notifications, click-to-call, maps, and product information. To accommodate growth, you may need to tap the capabilities of third-party logistics providers (3PLs) to manage a high volume of complex orders. Reverse logistics, the ability to handle returns and exchanges quickly and economically, is becoming a key differentiator. Same-day delivery and innovative fulfillment networks can be competitive advantages. There is no more loyal a customer than a subscriber. and the subscription commerce takes several forms. In the replenishment model, a commodity item is sent to the customer every month. The discovery model is more promising. It offers a subscription to a curated experience that delivers new, hard-to-find, or customized items periodically to the customer’s doorstep. 10. Offer a Seamless Experience Across Channels. Your sales will grow if you ensure that product availability, promotional strategies, and brand experience are consistent across all channels — whether online, in-store, or on a mobile device. Implement cloud-based supply chain technology to gain visibility into your performance across all channels. 11. Curate a Proprietary Selection. Proprietary selection is a strategy that focuses on “curating” a narrow and deep assortment of products in a particular segment. These selections make merchandise feel exclusive due to the depth and originality of the assortment, the difficulty in finding the products elsewhere, and the power of customer communities. This is a strategy that builds an exclusive brand — with ecommerce as the core distribution channel. By offering goods that are not available elsewhere and selling them directly to the consumer online, you maintain much greater control over your margins and help create and online exclusivity.